Our multi-stage nutrition pack is formulated based on our own experience of what works and using well-known food and nutrition brands. Approximately 2835 kcal per day to keep you going, with the right energy sources at the right time and great variety. We know that the minimum required amount of calories for multi-stage races such as the Marathon des Sables is not enough for many people to sustain energy leves with the physical effort that must be put in every day. This pack contains a more realistic amount of energy. A mix of sweet and savoury this pack offers a variety of flavours and textures to help you re-fuel in camp and on the go. Choice of nutrition pack: Chicken, Beef, Vegetarian, Fish, Surprise Me! Please note that the image is for illustrative purposes only and shows what repackaged food might look like for a multi-stage race. It does not represent the exact food products or quantities contained in this pack. 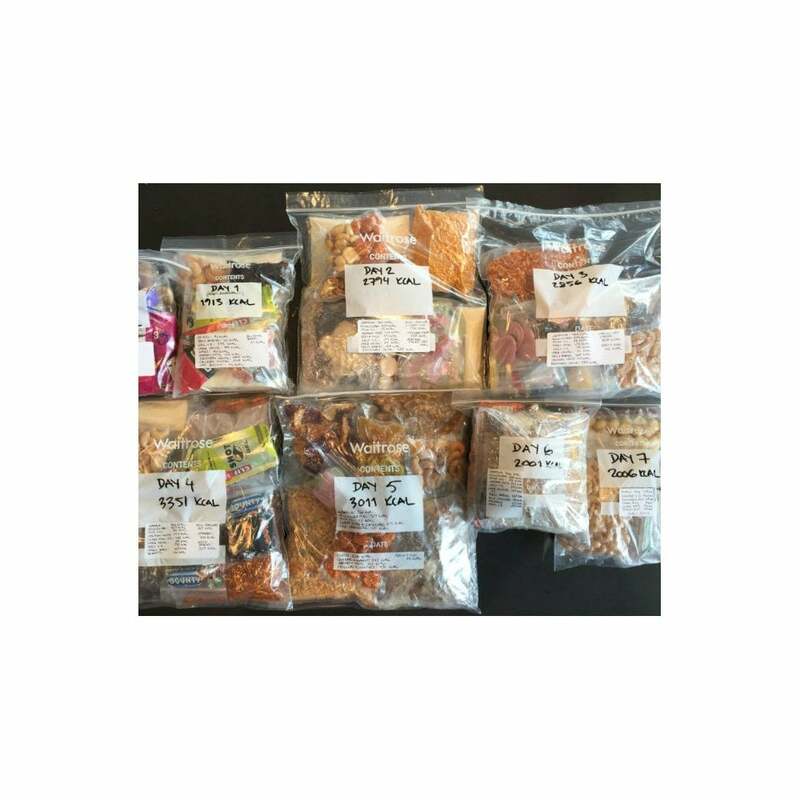 Your pack includes a list of the food by day and the food is packaged in day bags according to our suggested meal plan. The net weight of the food without packaging is approximately 2kg. All food is supplied in original sealed packaging. You can save on the total weight by repacking your food should you wish to do so. Not included: coffee/tea, salt tablets, electrolytes over and above what the sports nutrition products contain. This three day pack is perfect to test out snacks in a shorter race or during a training camp or simulation. Alternatively, combine two and a couple of extra bits to get your complete race nutrition pack for a week. We have included a few treats but you may wish to supplement this pack with your favourite snacks for that perfect morale boost!